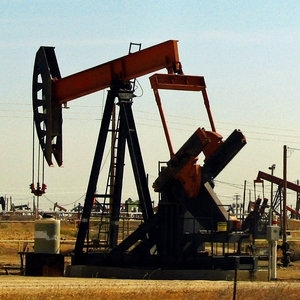 Which fossil fuels must remain in the ground to limit global warming? A third of oil reserves, half of gas reserves and over 80% of current coal reserves globally should remain in the ground and not be used before 2050 if global warming is to stay below the 2°C target agreed by policy makers, according to new research by the UCL Institute for Sustainable Resources. The study funded by the UK Energy Research Centre and published in Nature today, also identifies the geographic location of existing reserves that should remain unused and so sets out the regions that stand to lose most from achieving the 2°C goal. The authors show that the overwhelming majority of the huge coal reserves in China, Russia and the United States should remain unused along with over 260 thousand million barrels oil reserves in the Middle East, equivalent to all of the oil reserves held by Saudi Arabia. The Middle East should also leave over 60% of its gas reserves in the ground. The development of resources in the Arctic and any increase in unconventional oil - oil of a poor quality which is hard to extract - are also found to be inconsistent with efforts to limit climate change. For the study, the scientists first developed an innovative method for estimating the quantities, locations and nature of the world's oil, gas and coal reserves and resources. They then used an integrated assessment model to explore which of these, along with low-carbon energy sources, should be used up to 2050 to meet the world's energy needs. The model, which uses an internationally-recognised modelling framework, has multiple improvements on previous models, allowing it to provide a world-leading representation of the long-term production dynamics and resource potential of fossil fuels. We've now got tangible figures of the quantities and locations of fossil fuels that should remain unused in trying to keep within the 2°C temperature limit. Lead author Dr Christophe McGlade, Research Associate at the UCL Institute for Sustainable Resources said: "We've now got tangible figures of the quantities and locations of fossil fuels that should remain unused in trying to keep within the 2°C temperature limit. "Policy makers must realise that their instincts to completely use the fossil fuels within their countries are wholly incompatible with their commitments to the 2°C goal. If they go ahead with developing their own resources, they must be asked which reserves elsewhere should remain unburnt in order for the carbon budget not to be exceeded." Co-author Professor Paul Ekins, Professor of Resources and Environmental Policy at and Director of the UCL Institute for Sustainable Resources, who received an OBE for services to environmental policy in the 2015 New Year's Honours list, said: "Companies spent over $670 billion (£430 billion) last year searching for and developing new fossil fuel resources. They will need to rethink such substantial budgets if policies are implemented to support the 2°C limit, especially as new discoveries cannot lead to increased aggregate production. "Investors in these companies should also question spending such budgets. The greater global attention to climate policy also means that fossil fuel companies are becoming increasingly risky for investors in terms of the delivery of long-term returns. I would expect prudent investors in energy to shift increasingly towards low-carbon energy sources." The scientists' analysis shows that their results are consistent with a wide variety of alternative modelling approaches from groups across the world with differing assumptions. Building on this analysis, their future work aims to investigate further the shifts in cumulative fossil fuel production between scenarios that lead to different long-term average global temperature rises.